According to the National Association of Dental Plans, only 2.8% of people with PPO dental plans reached or exceeded their plan’s annual maximum. That means a lot of people reached the end of the year with hard-earned benefits left on the table. Also, Flexible Spending Accounts (FSA) help people pay for dental care with pretax dollars, which can be lost when the year is done. Whether you have a dental benefits plan or an FSA, it’s important for your teeth and for your wallet that you use your benefits by New Year’s. Keep reading to learn how to get the most out of your dental benefits from your dentist in Midlothian. 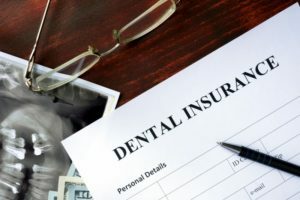 Many people get their insurance plans through their employer, where you and your employer pay upfront dollars that give you dental benefits. Of course, these benefits are wasted if you don’t see your dentist. Most dental benefits plans run out by the end of the year, which means any unused dental dollars won’t roll over into 2019. Some plans may have different deadlines, so it’s best you check your plan or ask your employer about when your benefits run out. Most plans typically cover 100% of preventive visits, so you can see your dentist for checkups and cleanings to stay on top of your oral health. Most plans will also cover a percentage of restorative treatments, but the amount will vary. The best step you can take towards utilizing all of your benefits is to schedule a visit with your dentist early. Your dentist can come up with a treatment plan for the year, and you’ll have a better idea of what will be covered, and what you may have to pay out of pocket. An FSA is an account you can set up through your employer in which some money is deducted from each paycheck to go into your account pre-tax. These dollars can be used for services and products that keep your mouth healthy, and you can even use your FSA to pay for healthcare products at your local drugstore. It’s important to use your FSA money before the end of the year, but your employer may offer a grace period or allow you to keep a fraction of your money. Talk to your employer about the specifics of your FSA, but to stay on the safe side, use your money before the end of the year so it doesn’t go to waste. It’s even more important with an FSA to get a treatment plan from your dentist. That way, you can better plan out the amount of funds you want to put in your account for dental healthcare needs. No matter what kind of insurance you have, it’s important you use it by New Years to cash in on the benefits you’ve earned and to keep your mouth healthy. At Marvel Dental in Midlothian, we have a team of 3 expert dentists who each bring a unique background and expertise to the practice. They believe in quality and affordability, which is why they accept all PPO insurance plans, and they have low-to-no interest financing options. For any questions, they can be contacted through their website or by phone at (682) 772-3072.